New York Copyright Lawyer - NY Intellectual Property Attorney - The Law Offices of Joshua Graubart, P.C. | Public Performance of Music: Dramatic, or Non-Dramatic? Public Performance of Music: Dramatic, or Non-Dramatic? — New York Musical Courier, Oct. 1894. As discussed in my last blog post, among the exclusive rights accorded to copyright holders is the right to perform their works publicly. In the context of music, that generally means that any time a piece of music is played in public, whether live or from a recording, that performance must be licensed by the relevant copyright holders. Since such licenses would be hopelessly impractical to obtain individually, most artists and venues obtain blanket public performance licenses from musical PROs. The worldwide entertainment industry has long distinguished between grands droits (literally “large rights”) and petits droits (“small rights”). These are frequently, and more helpfully, rendered in English as “dramatic rights” and “non-dramatic rights.” The public performance rights required to mount a full dramatic production of an opera or musical are the “dramatic rights.” Almost all other public performances – concerts, radio & television broadcast, digital transmission – fall under the “non-dramatic rights” rubric. The two gentlemen at the long counter in Paris represented, respectively, the PRO collecting for dramatic performance (now SACD) and the PRO collecting for non-dramatic performance (now SACEM). In practice, a nominally “dramatic” production might require licenses from both PROs: the production itself licensed by the “grands droits” PRO and any incidental music – played by the orchestra during intermissions or while the patrons seated themselves – licensed by the “petits droits” PRO. It is probably worth pointing out that the description of French practice quoted above was used by the British trade press as an example of the “strange continental practices” which Britain should avoid. * While Britain did ultimately form a musical PRO for non-dramatic performances (PRS), “dramatic” musical rights are generally accorded to theatrical licensing agents in the UK, the US and the Anglophone world in general. These agents, of whom the best known is perhaps Samuel French (Samuel French Inc. in the US; Samuel French Ltd. in the UK), directly license theatrical performances of plays, both musical and non-musical, as agents for the rights holders. In most territories, motion picture theatres, like concert halls and nightclubs, require a license permitting the public performance of music contained in the films shown. In the United States, however, owing to a 1948 court decision, an exception applies to motion picture theatres which receive musical performance licenses as part of their direct exhibition license from the motion picture copyright holder. Not sure which rights you should be licensing? Please give us a call. We would be happy to help you clear up the confusion. *Cyril Erlich, Harmonious Alliance: A History of the Performing Rights Society, Oxford Univ. Press (1989) at 7. Public Performance, Communication & Display: What Is "Public"? New York Copyright Attorney The Law Offices of Joshua Graubart, P.C. 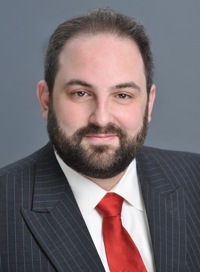 NY Intellectual Property Lawyer The Law Offices of Joshua Graubart, P.C. Copyright © 2018, Law Offices of Joshua Graubart, P.C.